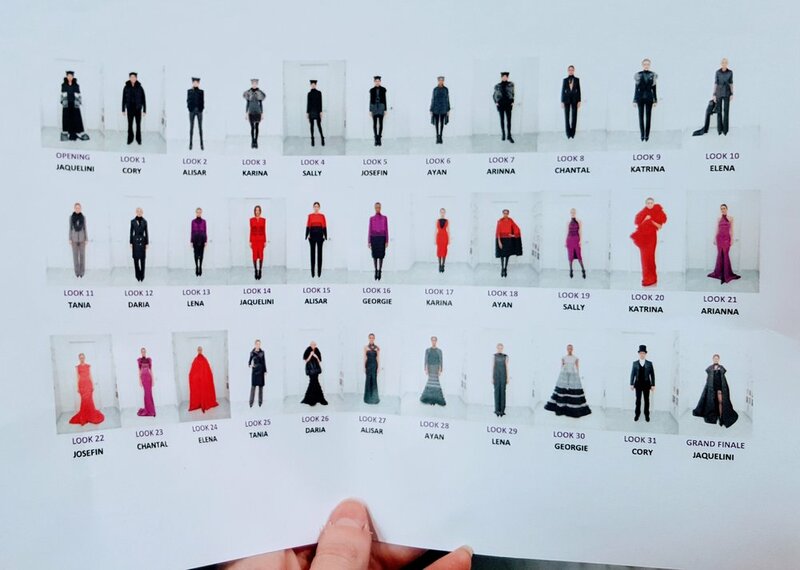 Butterflies and a sense of determination filled my stomach, as I went backstage for the first time at New York City Fashion Week/Fall Winter 2016 preparation for the Zang Toi show at Pier 59 Studios. 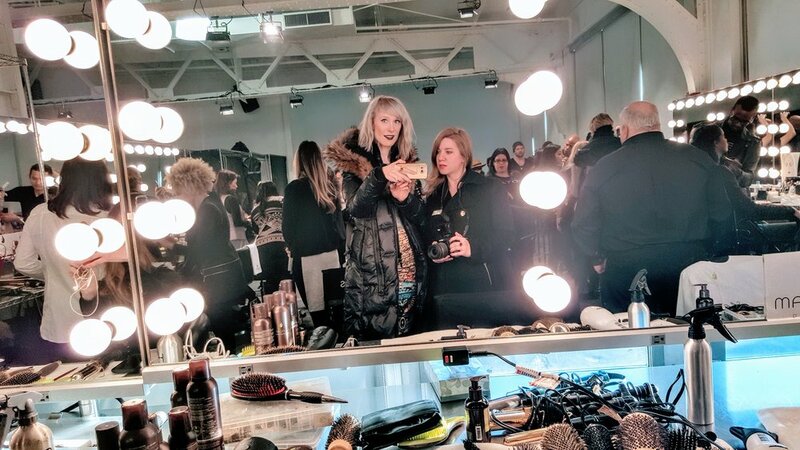 One of the reasons I moved to NYC was to be at Fashion Week, one way or another, so I was enchanted by the whirlwind of glamour, as hair extensions blew by in endless mirrors and barefoot models shimmied past. I felt a bit naked without my Canon 5D in tow, but I did my best to document this exciting experience with my Samsung S6Edge, which held its own quite well. Had I not worked at 7am shift at my day job right before this, I definitely would have brought the Canon - it just looks more legit. What made it all-the-more thrilling, was I was there with one of my best friends from college, journalism school, to be exact, Wendy Rose Gould, who had generously put my name on the list, as she was there to cover a story for XOVain.com. Even though we did not have time to stay for the show, sadly, we did get to marvel at the gorgeous clothing, along with Toi's collab with ZOYA for this show. A popping red lip and natural make-up allowed for Zang Toi's FW collection to stand out. A coiled, wrapped bun was the look of choice at this and many of the other shows this Fashion Week, Fall Winter 16. ZOYA's Naked Manicure was featured on the models, but they also had some unique bold metallic and shimmery matte colors. Gals on the runway: Wendy and I used to watch Project Runway devotedly while in college, so you can imagine we were extra giddy sharing this experience.